Just 45 minutes from downtown Chicago, At Home In The Woods Bed and Breakfast in Chesterton, Indiana is tucked away in the woods on a country road. It's conveniently located near the Dunes Park South Shore train station and only 10 minutes from the beautiful Indiana Dunes State Park and Indiana Dunes National Lakeshore where you can bird watch, hike, swim, or take a stroll along the shoreline. At Home In The Woods Bed and Breakfast in Chesterton, Indiana is tucked away in the woods on a country road. Just 45 minutes from downtown Chicago, it’s conveniently located near the Dunes Park South Shore train station and only 10 minutes from the beautiful Indiana Dunes National Lakeshore and Indiana Dunes State Park where you can hike, bird watch, swim, or take a stroll along the shoreline. 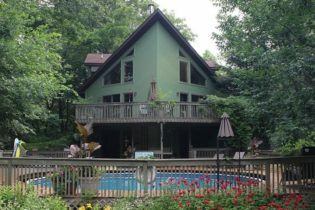 Make yourself at home in this unique, 3 bedroom, northwoods decorated b& b on 5 wooded acres, just minutes from the Indiana Dunes National Lakeshore, Each room is beautifully decorated in a national park theme. Room amenities include a fireplace, whirlpool tub or steam shower, TV, DVD player and CD alarm clock. Sit in our peaceful, sunlit great room and read a book, bird watch, spot some deer and turkey, or just laugh at our comical squirrel friends. In the lower level you can enjoy the big screen TV or play a game of bumper pool or darts. You can even enjoy your favorite book while sitting for a spell in our hot sauna. Enjoy the swimming pool and hot tub on the rear patio/deck. Connect with nature by strolling thru our 4 acres of walking trails. There you will find some grazing deer and an abundance of song birds and waterfowl. A gourmet breakfast is served every morning and a delicious satisfying dessert is served every evening. We guarantee you will not walk away hungry! Enjoy Small Town Luxury at its Best. 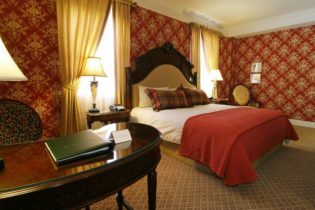 Charley Creek Inn has 30 beautifully appointed guest rooms and suites, with 20th century decor and 21st century amenities. Guests will feel right at home with many amenities including: on-site dining in “Twenty” & shopping in the Wine & Cheese and Ice Cream & Chocolate Shoppes. The Inn boasts state-of-the-art meeting and event facilities with nearby museums, parks, attractions, and events-all within walking distance. 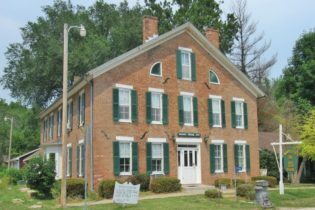 Downtown Wabash, Indiana inn offering unsurpassed service, modern amenities, delicious food, and historic surroundings. 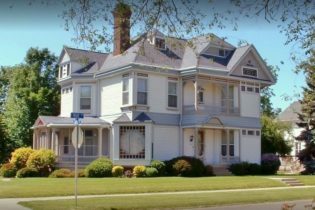 On the corner of Hill Street and Carroll Street in Historic Downtown Wabash, Indiana is your chance to experience the opulence and warmth of the spacious antique and art filled Victorian Inn, Herrold on Hill Bed and Breakfast. Guests can choose from six luxury king and queen bedrooms and a candlelight breakfast served on china and crystal in the formal dining room or in the privacy of your room. What sets Herrold on Hill apart are the attention to detail from the breakfast choices to the beautiful restoration, making it more than just a place to sleep; it’s an experience and a wonderful hotel alternative. There are two guests parlors, open oak stairways, hardwood and marble floors, elegant chandeliers and stained glass, unique round windows, fireplaces, a screened in porch and a large restored carriage house. Herrold on Hill Bed and Breakfast is within a short walking distance of Historic downtown (3 blocks away): The Honeywell Center, restaurants, museums, the library, churches, antique shops, art galleries, a movie theater and Farmer’s Market (in season). Use the link above to visit our full website and read our blog to learn more. We look forward to welcoming you. A hidden gem in the woods of Batesville, Indiana - right about halfway between Indianapolis and Cincinnati. Come relax on 3 acres of professionally landscaped grounds. The cypress and oak house features high ceilings and exposed beams - a warm and cozy place where you can get away from it all. Mary Helen’s is a beautiful establishment nestled in the countryside just outside the town of Batesville, Indiana, located just minutes off interstate I-74 between the cities of Cincinnati and Indianapolis. The house is constructed of cypress logs from the swamps of Florida and a variety of native oak trees right off the property. You’ll find high vaulted ceilings and exposed oak beams throughout the house accompanied by beautiful decor. If you are seeking lodging for a few nights, a romantic getaway or just need peaceful time for reflection, then look no further… we are that destination. You will find an intimate atmosphere filled with beautiful scenery and delicious food. We serve as a bed & breakfast and offer in house dining for group parties and special occasions. We are certain you will find our setting most appealing and tranquil. We are located on 3 acres of professionally landscaped ground. Feel free to enjoy a private walk around the property to see nature at its best. Relax on the front porch to the sounds of an inviting waterfall or sit by the pond and be mesmerized by the beautiful koi fish swimming around giant lily pads with an exhilarating water fountain raining down. Our mission is to bring you peace and relaxation, while leaving you with lasting memories. Reserve your next stay at Mary Helen’s Place and enjoy a wonderful, unique experience. 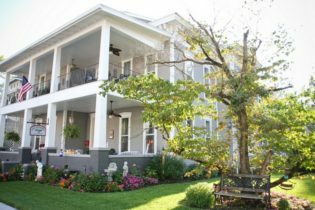 Muncie, Indiana's premier bed and breakfast offers our guests the comforts of home away from home. 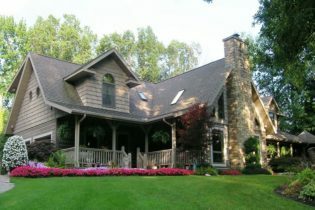 A complete renovation of this 1947 neo-colonial house was completed in November, 2007, establishing the McDowell-Nearing House as Muncie’s premier Bed and Breakfast. McDowell-Nearing House is conveniently located on a major artery within walking distance to Ball State University’s Scheumann Stadium and only a mile from both the main campus of Ball State University and Ball Memorial Hospital. There is plenty of off-street parking. We can accommodate your needs whether you are looking for a weekend getaway or visiting Ball State University for business or pleasure. Muncie is located an hour’s drive northeast of Indianapolis and often provides lodging for visitors to the Indianapolis Motor Speedway and NCAA tournaments held in Indianapolis. Welcome to the Flying Frog Bed and Breakfast, a welcoming blend of old-world elegance and Midwestern charm. Our inn is located in Franklin, Indiana (home of Franklin College) - just 25 minutes south of Indianapolis, the state capital, and 50 minutes east of Bloomington, home to Indiana University. We have preserved the original character of the house while achieving a homey quality throughout by using vibrant colors and eclectic furnishings instead of antiques. 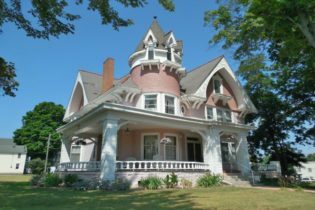 The elegant 1875 Italianate-style home feature original details such as hardwood floors, high ceilings, wainscoting, crown molding, wavy glass windows, and a beautiful ornate open staircase. We have flat-screen TVs and free WiFi for guests’ convenience. The luxurious guest rooms are all uniquely appointed in homage to our favorite European travel destinations. All have private ensuite bathrooms. There are many common areas for guests to enjoy, including the first-floor parlor and second-floor common room, as well as a veranda and balcony. There is a 24-hour beverage center on the second floor where you can make yourself a cup of coffee or tea via the Keurig machine whenever you want. There is also a small refrigerator and wine cooler – although we are not allowed to serve, you are welcome to bring your own wine, perhaps some that you purchased at a local winery! Our convenient location is also nearby the INDY 500; call us for specials and to book your stay!